i mentioned the other day that i'd be delivering a paycheck to you very soon and today's the day! 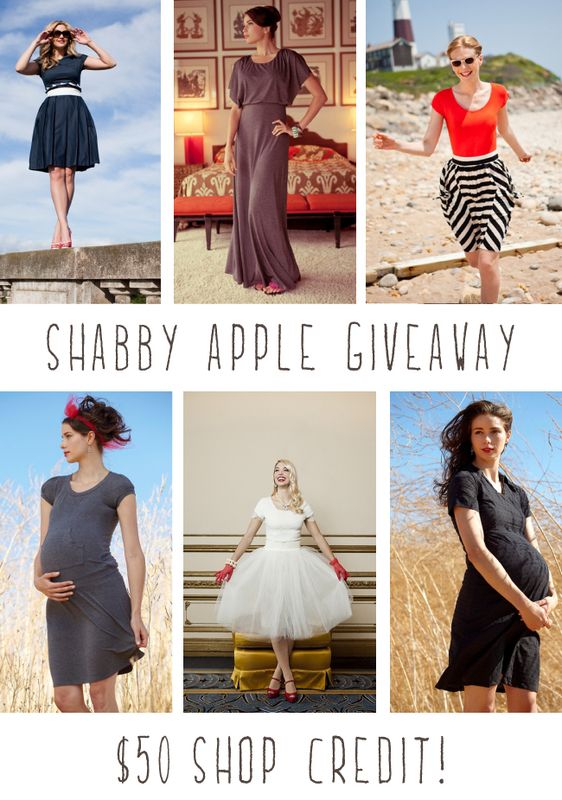 it's a giveaway from the lovely people of shabby apple. they are offering one lucky reader $50 to any item in their shop. your choice! >> Must follow this blog with Google Friend Connect - just click on that blue button to the left! >> Blog about this giveaway - include link so i can meet you and your blog! That's 4 entries (4 comments) per person. Up the odds, win this shizz! A winner will be chosen at random next Tuesday, the 26th! sometime in the evening, after work, around 6pm, california time. Bonus Round: Get 10% off your order with the coupon code vickichristine10off - good for an entire month! Hey-oh! My favorite dress is the Calooh, Callay Dress! I LIKE THEM ON FACEBOOK!!!!! AHHH!!!!! I like their Bandersnatch skirt!!!!! AHHH!!!!! Hmm... I realize, I may have left an extra comment and didn't follow the rule accordingly. Pish Posh, I wanna win! Looooove Shabby Apple. Following on GFC! aaaand like them on FB. If I had to choose just one? I would pick the Puca Pucara dress. Love the colors! following you on GFC, & SA on FB. my current SA lust is their carnival dress. I follow your blog & like shabby apple on Facebook! I love their desert dune swimsuit!!! I visited the site, and I would love to win the Andes skirt! So cute!! I follow your blog with Google Friend Connect and I "Like" Shabby Apple on Facebook! Thanks for a chance to win and have a great day! just followed you via GFC! Oooooh yes! This pregnant person needs this. I follow you AND I like them on Facebook. I also like apples, which is irrelevant. I love the V.P. dress (or the Carnival dress, or the Ph.D.... too many to pick one!). Done and done. I just found your blog and I love it! & I like the San Gabriel Dress.... one more entry for me! My favorite Shabby Apple item is the With honors dress. I follow via GFC and like Shabby Apple on Facebook. I follow your blog and like Shabby Apple on fb! Thanks! aaaand I want the Highland Light dress some kinda bad. i am now your follower and i like shabby apple on fb! I follow you and "liked" Shabby Apple on fb. I love the race point skirt from their lighthouse collection... among 500 other things that I wish were in my closet too. Thanks for the fun giveaway! I'm following you on the friend thingy now and liking some Shabby Apple on FB. Why not?! Bert says hi and he wants to meet you. Me want the Seven Seas in Seersucker dress. So summery! But I'm on shopping cut-off for a month...unless i win a freebie! I follow you on GFC! And I like shabby apple on facebook! I like Shabby Apple on FB and am a new GFC follower!